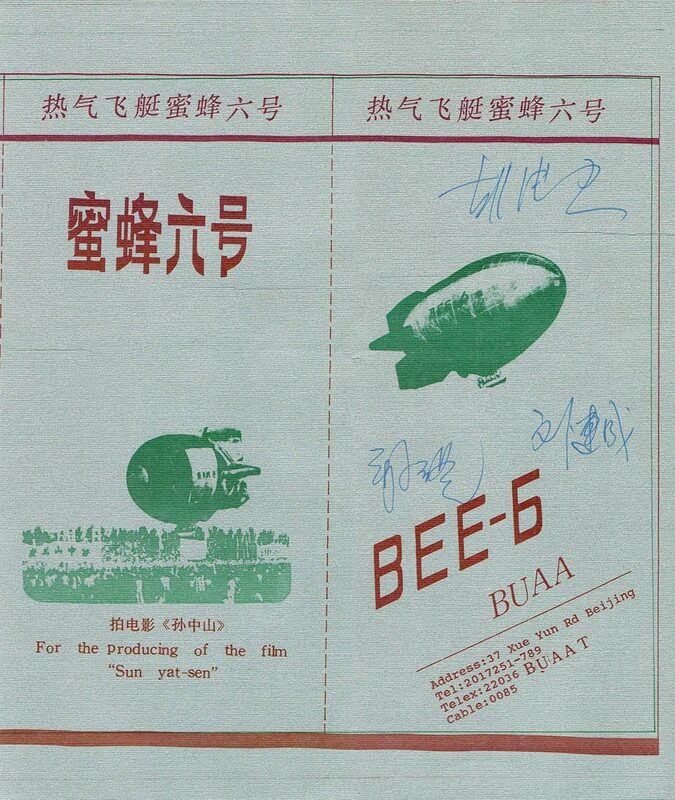 Beijing University of Aeronautics & Astronautics "Bee-6"
A rare photograph of the Bee-6 prototype with the original envelope which, it has been reported, was modified from that of a hot-air balloon. First flight was in January 1986. 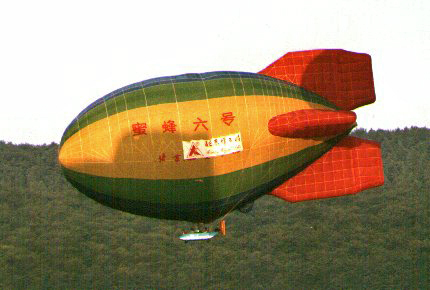 The Chinese Mifeng-6 (Bee-6) hot air airship first flew on 20 December 1985, and at least 3 more have been built and used for research, aerial photography, power line lifting and sport. 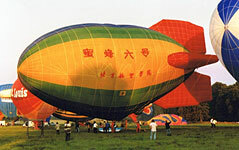 Four persons can be carried in the 33.7 m (110 ft) long, 2983 cu m (105300 cu ft), Rotax 447 powered Mifeng (Bee) airship. 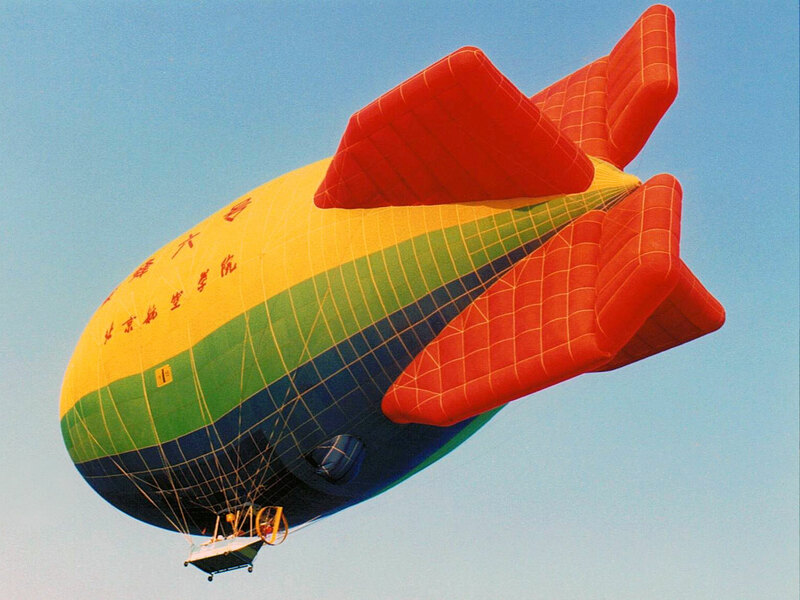 In July/August 1988 around fifteen hot-air airships from all over the world assembled for the First World Hot Air Airship Championship held in Luxembourg. 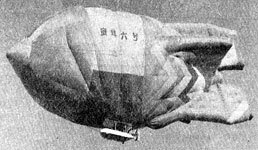 There were various types represented, mostly from the Cameron and T&C stable plus of course Brian Boland with one of his lightweight non-pressurised airships. 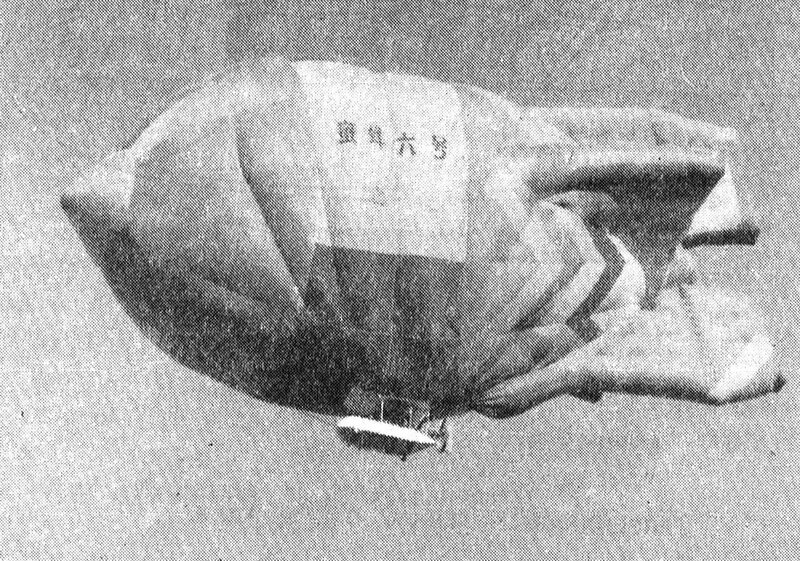 However there was one airship which attracted a great deal of attention. 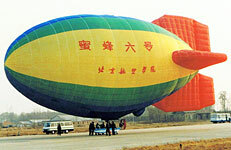 A late-arrival from China, the Bee-6 airship was the sixth aircraft constructed by students at the Beijing University of Aeronautics and Astronautics. (The previous five had included microlights, balloons and so on.) 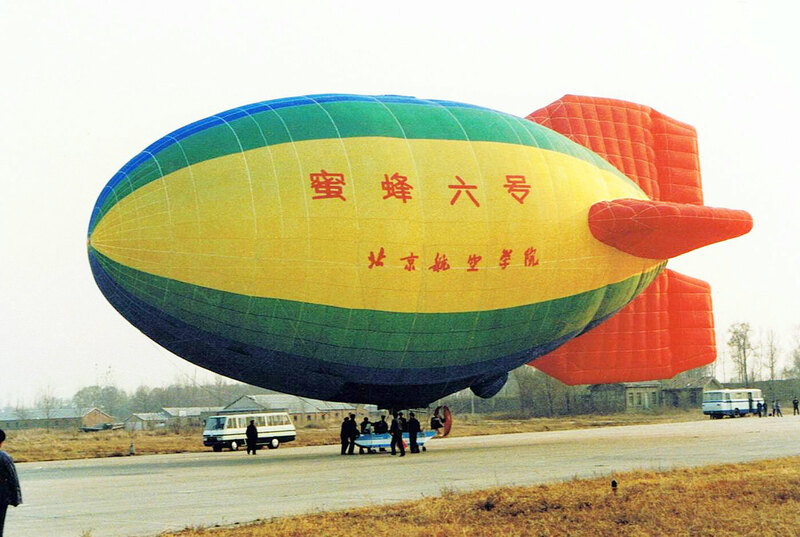 This was the first time a Chinese airship had been seen in the West. 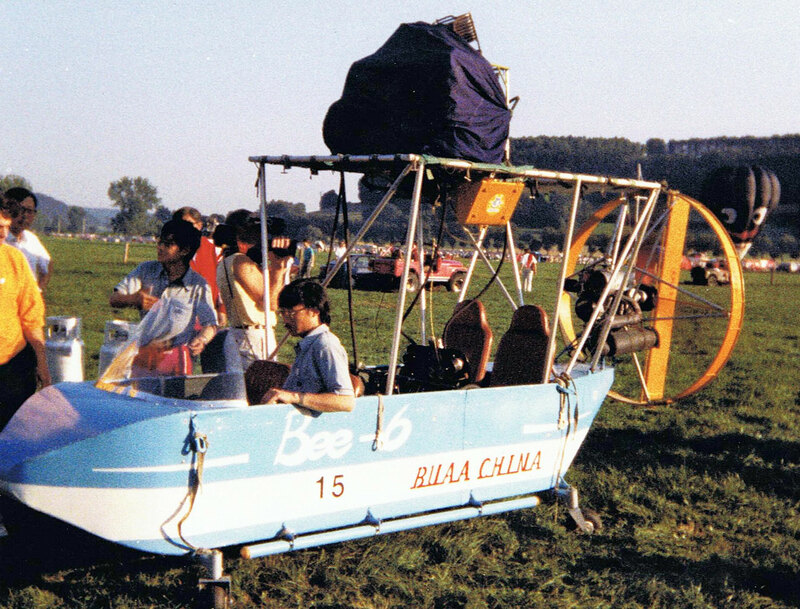 The four-seater Bee-6 with a volume of 105,350 cu ft approx, and an overall length of 110.5 ft, was a big hot-air airship and possibly the largest in the world at that time. I was lucky enough to get a flight and powered by a 42hp two-stroke engine the pressurised airship flew very well. 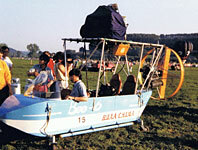 Their own brochure suggests a cruising speed of 13.5 knots and a max speed of 19 knots. Perhaps reflecting its political background Bee-6 flown as a full committee effort with one pilot working the steering controls while the other handled the twin-burners and the two in the back told them what to do. 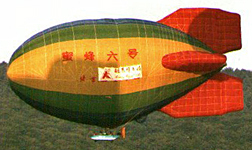 Towards the end of the championships it was revealed that the Chinese team intended selling their airship in order to buy their train tickets home. 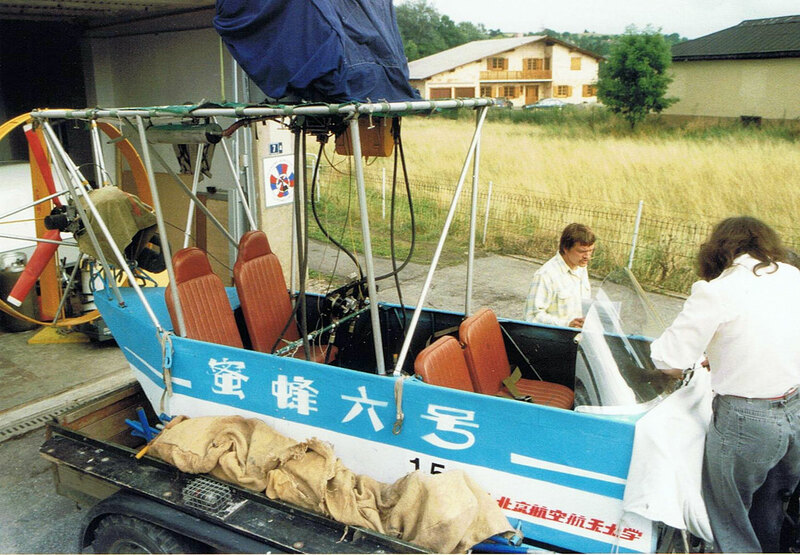 (Because of their late arrival the Bee-6 was not placed in the Championships results.) 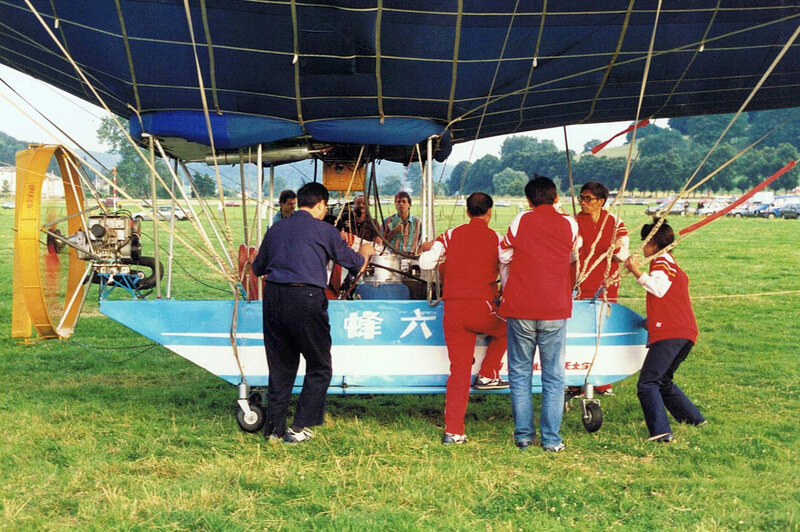 At that point I decided to form a syndicate of like-minded enthusiasts to purchase the airship and we brought it over to the UK on a borrowed trailer. 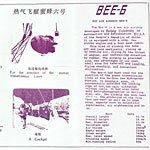 Unfortunately upon closer inspection it soon became clear that the standard of construction of the Bee-6 would not comply with the UK certification requirements. For example the burners were a Chinese copy of a Barnes balloon burner. 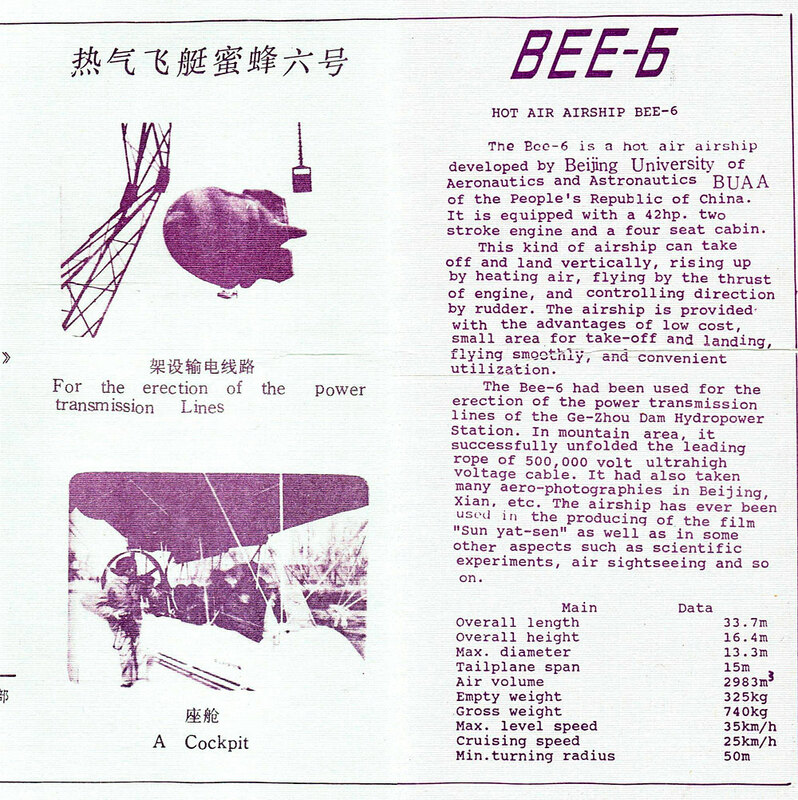 And with no reciprocal aircraft certification arrangements between the Chinese and British aviation authorities, and no 'Experimental' category available in the UK, the Bee-6 was unable to fly here. So she remains in storage in a barn here in Gloucestershire.